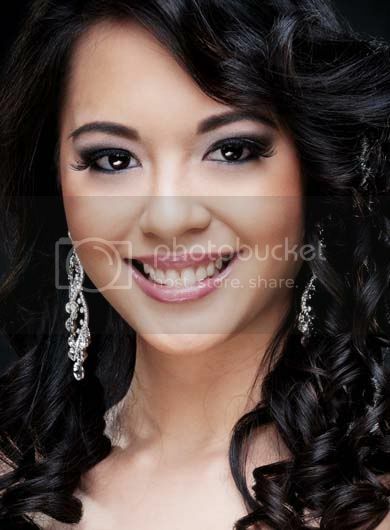 Notes: Anna Calvo is the reigning Miss Earth Guam 2011. We teach our children to read and write. Why not teach them about protecting the environment from the beginning of their education as well? I will strive to educate our future generation about the plight our environment is in and about the ways we can improve our current situation. The spirit of my island makes me proud to represent Guam. Despite the many challenges my island has faced, our spirit and our determination has never faltered. The Chamorro word for Guam is "Guahan," which means "we have"; our spirit of generosity and hospitality continues today which is why Guam is an ideal tourist destination. Guam has beautiful sunsets, lush beaches, and warm weather year round; but it is my people, the Guamanian people, that make me proud to represent Guam. When I was young, I practically lived at church. We were there nearly every day of the week for prayer meetings, Bible studies, seminars, church events, and services. Early morning prayer was part of our routine and I remember groggily leaving to morning prayer meeting at 4:00 a.m., falling asleep on the church chairs with my blanket, and waking up to my parents praying around me. My house was filled with books because my parents didn't approve of television or gaming systems so I learned to love reading. Whenever my family or friends asked me what I wanted for Christmas or my birthday, I always replied, "Books. Just books. "And they would bring me books, dozens of them. Growing up as a pastor's daughter, we never had very much money. One summer all of the door handles on our car broke and we could only enter the car through the rear passenger door. It was raining very hard when church ended one day, and in front of the entire congregation, my father crawled through the rear passenger side to the drivers' side and drove the car up to the front of the church. I remember feeling so embarrassed about climbing into our family car. There was silence in the car for a while and then my father said, "Well, at least we aren't walking in the rain." I learned that day to be grateful for whatever situation I am in because there is always someone who is less fortunate than you are. When I was eight, my sister Elise was born. I had prayed for a little brother so that I wouldn't be the only child anymore. Up until that moment I had been the center of my parents' universe and I was resentful that my sister had taken that away from me. I remember being angry with her when she was a toddler for breaking something; I fell asleep frustrated. I woke up to my little sister pulling a blanket over me and kissing me on the cheek. She said, "I love you even though you're mad at me." I realized then that God had given me more than I asked for by blessing me with the best sister in the world, who loved me unconditionally and whom I would love forever. As long as we move forward without educating the ignorant, our environmental situation will not improve. Those who do not take care of our earth are either unaware, misinformed, or uneducated. I believe that education is the solution to the problems our earth faces. If we are educated, each of us, in our daily routine, may strive to improve the earth by making conscious decisions to reduce, reuse, and recycle.